"iPhone Not Backed Up" Message: What It Means & How To Remove It! 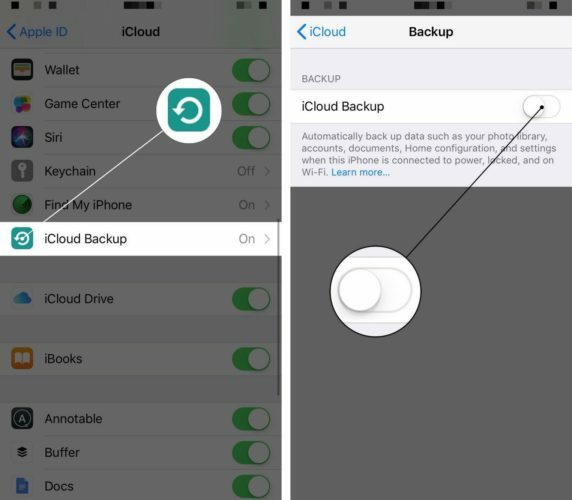 You are at:Home»iPhone»iCloud»“iPhone Not Backed Up” Message: What It Means & How To Remove It! There’s a notification on your iPhone that says it’s not backed up and you want it to go away. Every single day, your iPhone is reminded you to back up your iPhone! In this article, I’ll explain what the “iPhone Not Backed Up” message means and show you how to remove it. What Does “iPhone Not Backed Up” Mean? The “iPhone Not Backed Up” message means that your iPhone hasn’t been backed up to iCloud for an extended period of time. iCloud backups are designed to happen anytime your iPhone is connected to power, locked, and connected to Wi-Fi. This notification keeps popping up on your iPhone isn’t backing up. This usually happens when you run out of iCloud storage space. Below I’ll explain how to remove the “iPhone Not Backed Up” message and how to backup your iPhone using iCloud and iTunes. 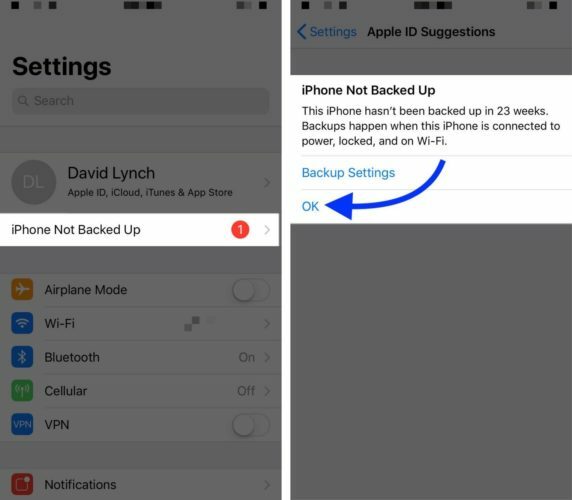 There are a few ways to remove the “iPhone Not Backed Up” message on your iPhone. First of all, you can backup your iPhone to iCloud. We have an excellent YouTube video explaining how to backup your iPhone to iCloud. 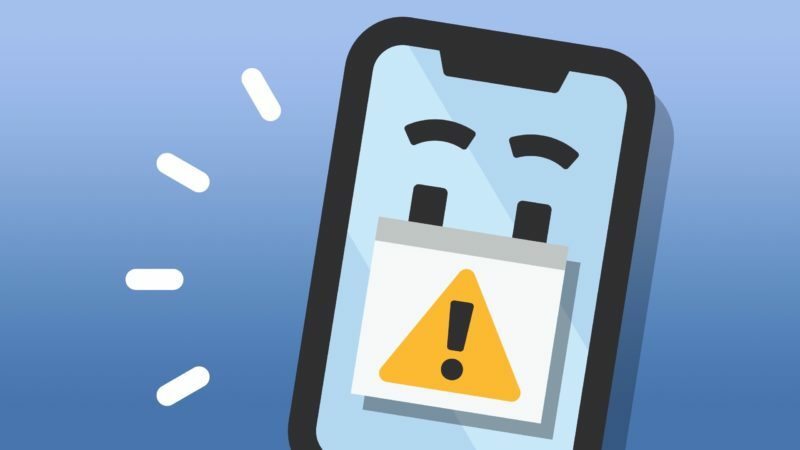 If you run into issues along the way, check out our article when your iPhone isn’t backing up to iCloud. Secondly, you can open Settings, tap on the notification, then tap OK. This will temporarily get rid of the iPhone Not Backed Up message. However, I can assure you that the message will come back, and it could happen as soon as the next time you lock your iPhone. If you don’t want to back up your iPhone and you want this notification to go away for good, open Settings and tap on your name at the top of the screen. Then, tap iCloud -> iCloud Backup and turn off the switch next to iCloud Backup. Finally, tap OK when the confirmation alert appears on the display. When you turn off iCloud Backup, your iPhone will only back itself up automatically when you plug it into your computer and open iTunes. If you haven’t already, I strongly recommend backing it up now. You don’t want to be in the position of losing all your data in the event of an unexpected accident. You’ve successfully removed that pesky “iPhone Not Backed Up” message and hopefully backed up your iPhone as well. I hope you’ll share this article on social media to help your friends and family get rid of this notification too! If you have any other questions about your iPhone, leave us a comment down below! Previous ArticleWhy Are My iPhone Apps Waiting or Stuck? Here’s the Fix. Next Article Why Does My iPhone Keep Restarting? Here’s The Fix!